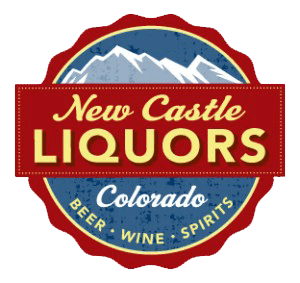 Welcome to New Castle Liquors, your choice for beer, wine and spirits on Colorado’s Western Slope. 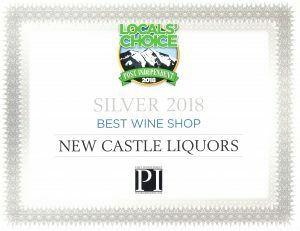 Thank you for your votes; we are so honored by our 2018 Locals Choice Silver Awards for Best Liquor Store and Best Wine Shop! Stop by for a great selection of local, regional, domestic and imported beers, wines and liquors, with new products coming in regularly. If you don’t find what you’re looking for, let us know. Special orders and case discounts are available. Need a gift or planning a party? We can help. Read our blog for ideas, recipes and pairings. Questions? Give us a call at 970.984.3707 or send us an email. We love to be social. Follow us on Facebook and Twitter, or subscribe to our blog for updates on new products and special offers! 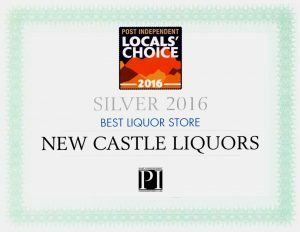 New Castle Liquors is open 8 a.m. to 10 p.m. Monday through Saturday, and 9 a.m. to 7 p.m. on Sunday. We’re located just off I-70 at exit 105, next to City Market, in New Castle, Colorado, 10 miles west of Glenwood Springs. 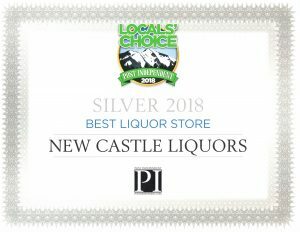 New Castle Liquors has a wide assortment of ice-cold beer that ranges from the world’s top-selling beers to Colorado microbrews made nearby. Our selection also includes gluten-free, non-alcoholic options and ciders. Whether you’re looking for an old favorite or a new wine, a gift or something for a special occasion, our selection includes local, domestic & imported choices. Organic & boxed options are also available. Buy a case and save 10%! Our liquor department has all the ingredients you need to make the perfect cocktail. Choose from well-known & top-shelf brands as well as spirits from Colorado distilleries. We have quality premixed options, and DIY mixers. Colorado breweries, wineries and distilleries are part of what makes this such a wonderful place to live and to visit. We’re proud to carry locally made and sourced craft beers, microbrews, wines and spirits.